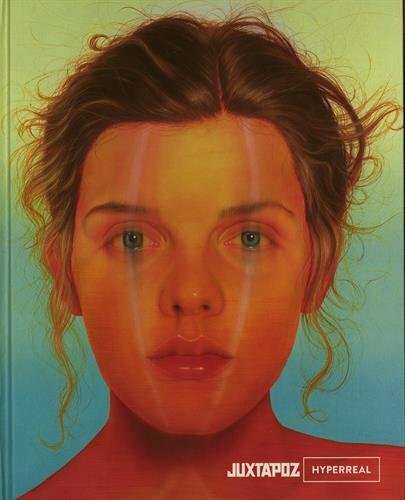 Juxtapoz Hyperreal is a 224-page hardcover artbook that features the artists who are into the style of photorealism and hyperrealism. Some of the artists featured are Dan Witz, Hilo Chen, Jonathon Veo, Diego Gravinese, Omar Ortiz, Jenny Morgan, Jenn Mann, Joel Rea, Alyssa Monks, Yigal Ozeri, Glennray Tutor, Ian Cumberland, Aaron Nagel, Lu Cong, Lee Price, Taisuke Mohri, Dan Voinea. The works are very beautiful so definitely check out the links to the artists' websites that I've provided above. Each artist has half a dozen of works and a mini interview included.